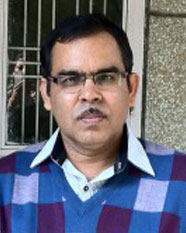 Dr. Madhusudan Karmakar joined Indian Institute of Management, Lucknow in December 2001 as Assistant Professor in the Finance and Accounting area, and was appointed Associated Professor in December 2004 and Professor in February 2012. Before joining IIM Lucknow, he was teaching at National Institute of Financial Management, Faridabad as Sr. Lecturer for a period from October 1999 to December 2001. He also taught at Assam Central University, Silchar as Lecturer during September 1994 to October 1999. He completed his Ph.D. from the University of North Bengal, Siliguri. In addition to teaching and research, he has served IIM Lucknow as Chairman - Fellow Program in Management, and Chairman - Finance and Accounting Area. Currently he is Dean (Research). He is also Chief Editor of Metamorphosis, A Journal of Management Research of IIM Lucknow. His research interests are in the areas of financial risk management and financial time series analysis. More specifically his works include VaR estimation and forecasting, financial risk forecasting, portfolio optimization, volatility forecasting, liquidity adjusted CAPM. All these works are based on application of different statistical tools and techniques which include topics such as GARCH, Co-integration, EVT and Copula. His research has been published in reputed international journals including International Journal of Forecasting, International Review of Financial Analysis, International Review of Economics and Finance, Quarterly Review of Economics and Finance. Ph. D. (Finance), 1994, University of North Bengal, (Title of Ph.D. Thesis: Stock Price Volatility and Efficient Market Hypothesis: An Analysis of Indian Experiences).